Five years and one day to the events of Sept 11. Five years and one day to the beginning of WWIII. It's different this time, as it's a war not against a well defined army.Not a war between nations. It's a war against terror. I know a little about terror. Terrorism killed my grandfather and dealt my family a very painful blow. Five years from the time, we had seen the unimaginable. Two of the largest buildings in the world collapse infront of our eyes live on TV. Brings me back to memories from my country. When prime minister Itzchak Rabin and King Hussein of Jordan started the peace proccess they both talked about the WAR FOR PEACE. I didn't understand what they were talking about. Why does peace need a war? After the events of the last decade I have fully understood. Indeed it's a war to make peace. What makes it harder is that many in the world are afraid to admit there's a real war going on at all. Seems like the world is deteriorating into two camps. Not based on religion or culture but based on political beliefs. There are those nations who believe in peace co existence and tolerance and those who don't believe in it. Seems like the latest events have even woken voices in the Arab world who tended to be quiet and not express their concerns. Perhaps there is hope. Perhaps all this unrest was powerful enough to wake up people across this planet to the dangers surrounding us. 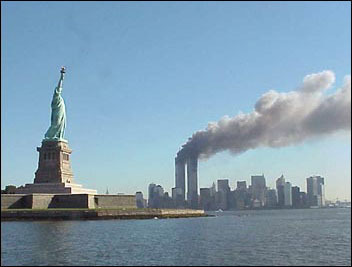 What's going to happen by September 11 2011 ? Where will the world be in the 10 year anniversary? Will the forces of peace win, or will the forces that benefit from war, death and destruction succeed in their master plot to make the world an uglier place? I continue volunteering in those organizations that support my beliefs, that we should try to mak the world a nicer and more decent place to live in. If every person volunteers a little bit. Just a tiny bit. Perhaps the world could be a more decent place by 2011. Jewish history in the US. Today I got an email from One of the largest and most influential Jewish Film Festival in the US in the East Coast. They aren't interested in showing my film about the battle to keep Yiddish Theater alve in the US. I guess making a statement that Yiddish theater is important , is not something the heads of that festival want to endorse. A pity. A very old wise man told me you have some chances at changing your future, but you can't escape the past. I made the journey to accept the culture of my past. Hopefully other young people will be allowed to also see it. At least in myspace.com we've passed the 1500. Seems like younger people are discovering the film and loving it. Hopefully now their parents will also allow them to see it. Sad that the first two episodes of my video diary were shown in that Jewish Film Festival with great success. Both the first episode, Out for love, about the peace proccess between Jordan and Israel, and the second episode, Shivah, about the death of the first generation of Israeli's had filled the theater there. What a pity that the third episode of my life work will not be seen there now. Sad and ironic that the episode about American Jews is receiving the least amount of acceptance by... American Jews. I guess like Groucho Marx, there are those who will never join the club that accepts them. Hitler tried to kill a people and their culture. He failed at both. Did he not kill the culture? And how ironic how all these things tie together, including being rejected in the east coast on such a day. Life is sometimes greater than fiction. Sept 12, 5 years later. A sad day in general. Seems like fear continues to control people both in the Jewish world and outside it. Fear of not being accepted by the outsiders. What the world really needs is more love.